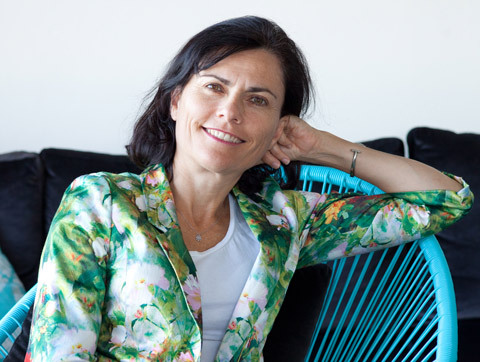 Our Founder Greta Thomas is based in Sydney but we work with clients around the globe. An award-winning business advisor, Greta is also a sought after speaker on business with purpose and innovative finance for international development. Clients past & present include one of Australia’s largest banks as well as other major financial services businesses, the Bill & Melinda Gates Foundation, (PRODUCT) RED founded by Bono, and many others. Facing disruption in your sector? INNOVAID unearths new perspectives on growth for your business. We conceive and develop new and innovative business models and revenue streams for organisations and start-ups. We believe that businesses no longer need to trade-off between making profits and contributing to society in a positive way. INNOVAID is a proud partner of Richard Branson’s The B Team – a global initiative to put people and planet alongside profit. Contact us to learn more or to have Greta as a speaker at your next event. To learn more or to have Greta as a speaker at your next event. In 2011 Greta was named as one of the Advance “Leading 50” current and future Australian women leaders. (Advance is a membership organisation with more than 20,000 current or recent expatriate Australians.) This award recognised Greta’s years helping build the acclaimed business-with-purpose initiative, (PRODUCT) RED™. Founded by Bono and Bobby Shriver, (RED) was designed to partner with the world’s biggest consumer brands to commercially generate funds ($200million to date) to help eliminate AIDS in Africa. Greta has also been a consultant with McKinsey & Company where she won a major global Firm award for knowledge development and she helped launch eBay in Australia as founding Marketing Director. She speaks at corporate, philanthropy and not for profit major events.